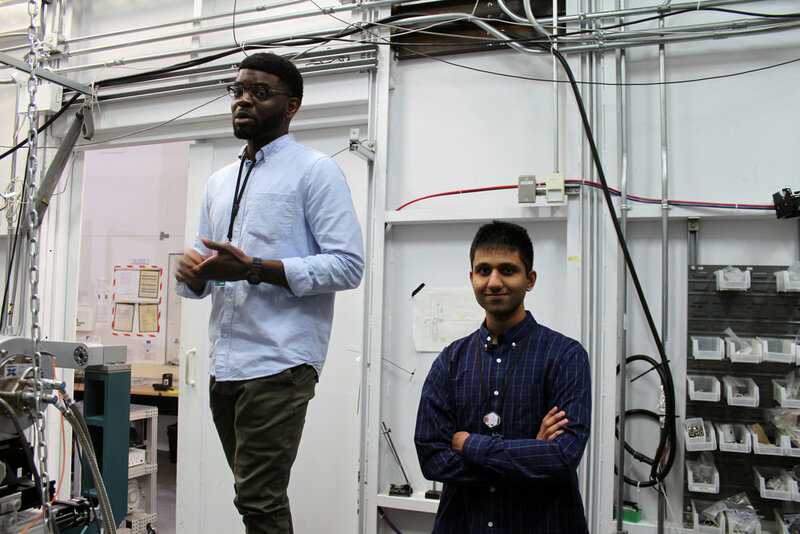 Michael Ocheje and Adit Nyayachavadi study organic electronics. These materials make great candidates for wearable technologies because of their flexibility, but their applications are still limited by technical limitations. For example, organic electronics stretch, but stretching distorts the crystals that are necessary for electricity to flow. That's what Michael focuses on; the effects of stretching on organic electronic materials. The ability to stretch makes organic materials attractive options for wearable electronics and sensors, but inevitably stretching causes stress, limiting their use. 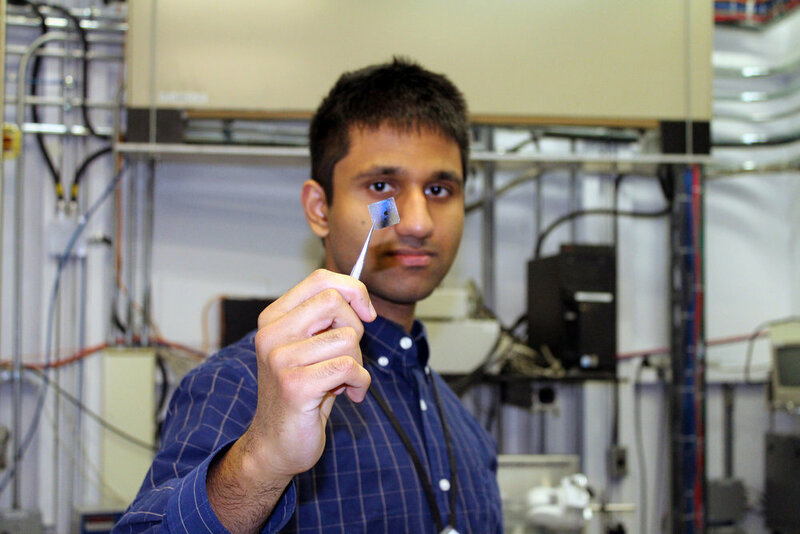 Hopefully, his work will help development of novel stretchable materials. 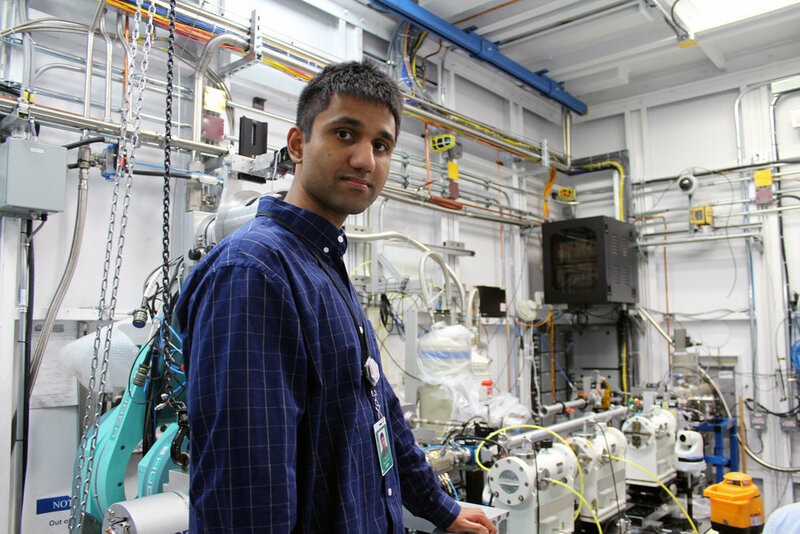 On the other hand, Adit is studying crosslinking between polymer layers, which affects their strength and durability, which could help develop better flexible electronics. Both are PhD students in Simon Rondeau-Gagné's University of Windsor lab. Their CLS work this time was at the HXMA beamline. 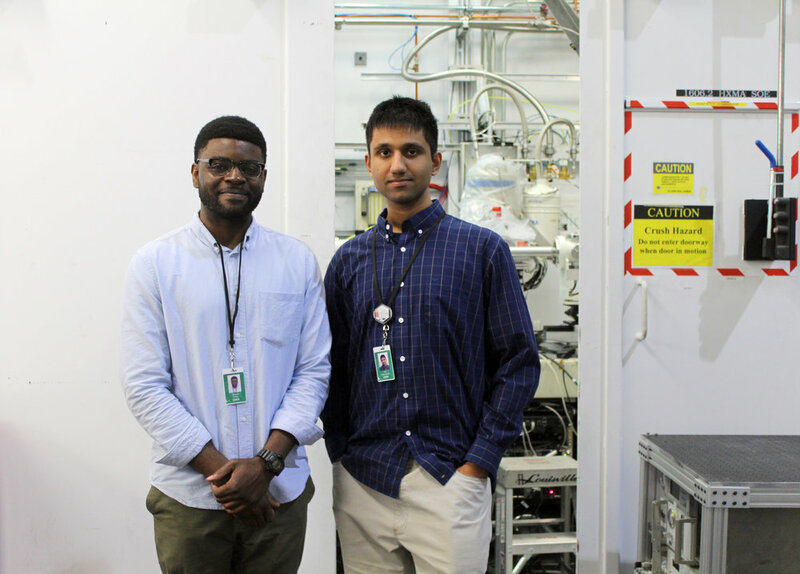 Michael Ocheje and Adit Nyayachavadi, PhD students in University of Windsor professor Simon Rondeau-Gagné's organic materials research group, at the HXMA beamline.